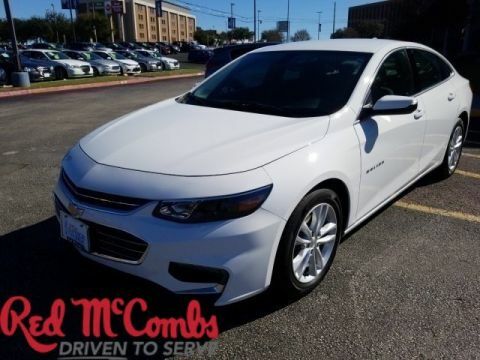 Trustworthy and worry-free, this Used 2018 Chevrolet Impala LT lets you cart everyone and everything you need in one vehicle. 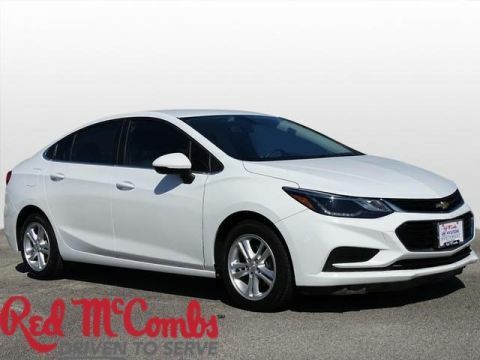 This Chevrolet Impala features the following options: WHEELS, 18 (45.7 CM) PAINTED ALLOY (STD), TRANSMISSION, 6-SPEED AUTOMATIC, ELECTRONICALLY-CONTROLLED WITH OVERDRIVE, TIRES, P235/50R18 ALL-SEASON, BLACKWALL (STD), SUMMIT WHITE, SEATS, FRONT BUCKET (STD), LT PREFERRED EQUIPMENT GROUP includes Standard Equipment, LICENSE PLATE BRACKET, FRONT, JET BLACK/DARK TITANIUM, PREMIUM CLOTH/LEATHERETTE SEAT TRIM, EXHAUST, DUAL STAINLESS-STEEL WITH HIDDEN, TURNED-DOWN TIPS, and ENGINE, 3.6L DOHC V6 DI WITH VARIABLE VALVE TIMING (VVT) (305 hp [227.4 kW] @ 6800 rpm, 264 lb-ft of torque [356.4 N-m] @ 5200 rpm). 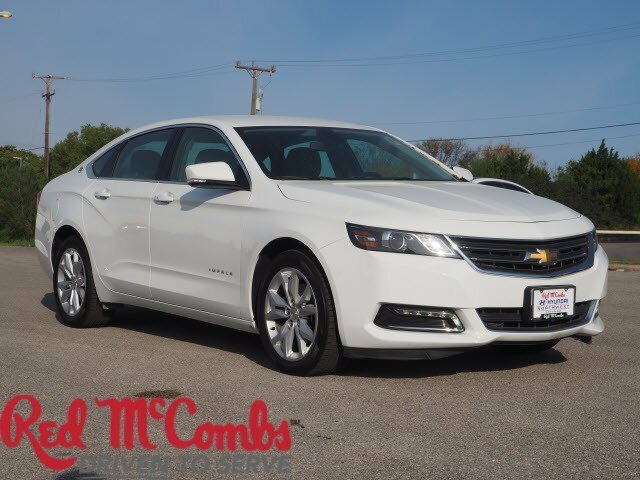 Carry all your passengers in the comfort of every amenity in this sturdy and worry-free Chevrolet Impala. 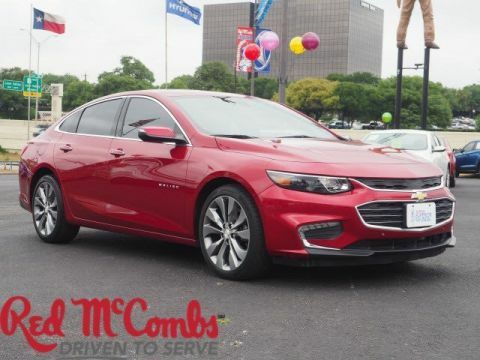 Come in for a quick visit at Red McCombs Superior Hyundai, 4800 Nw Loop 410, San Antonio, TX 78229 to claim your Chevrolet Impala!